Good lot of fresh trunks now in stock. 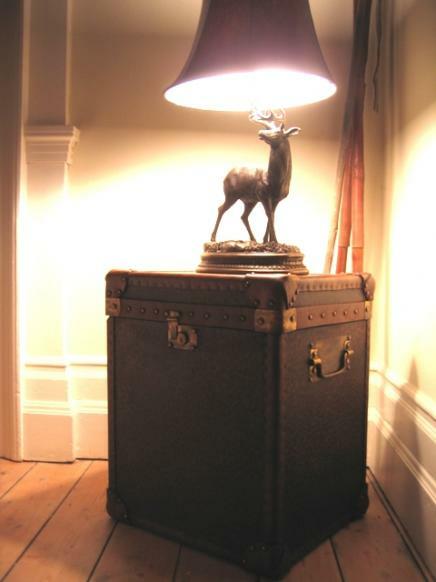 Lots of superb coffee table trunks available with 100 year old leather tops. Great look and wonderful patina. Hello and welcome to Totally Trunks. 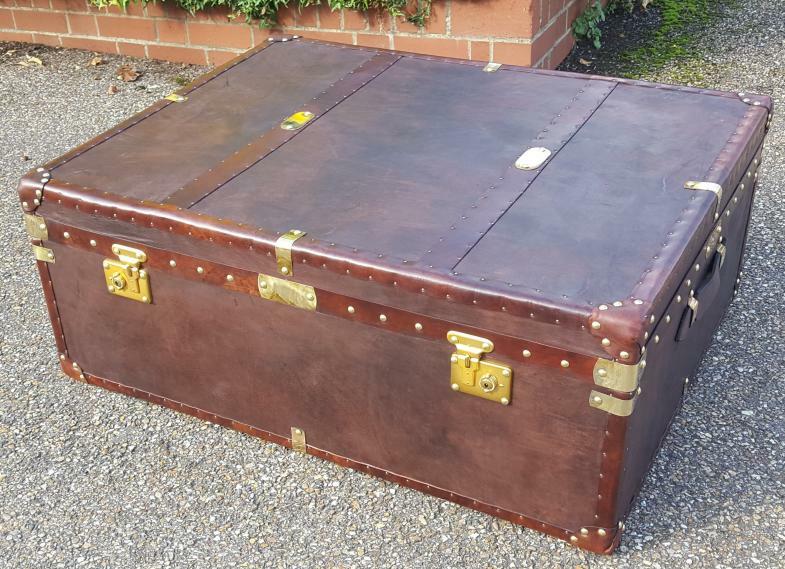 We make leather trunks by hand in our own workshops using a lot of leather and fittings that we recycle from vintage luggage. We are based in Epping, Essex, close to junction 26 of the M25 where we have 2 barns on a farm with a good range of trunks of all sizes in stock. Fresh in stock - brown leather coffee table 95 x 75, beautiful patina, brass locks and mounts. 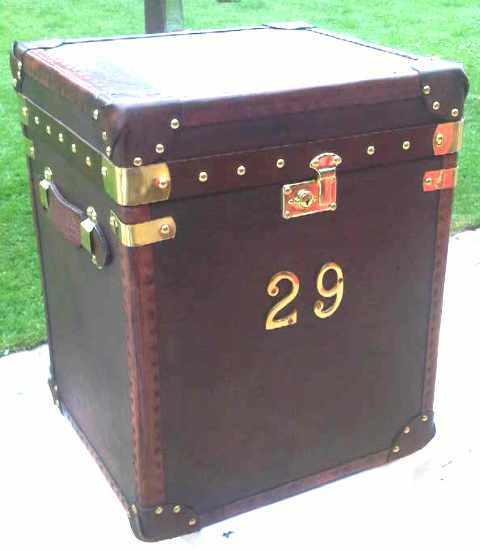 All our trunks are customisable; you can have additional luggage labels, brass letters, names or numbers or we can add a brass plaque which can be engraved to personalise the trunk making it an ideal birthday present, wedding gift or school tuck box. 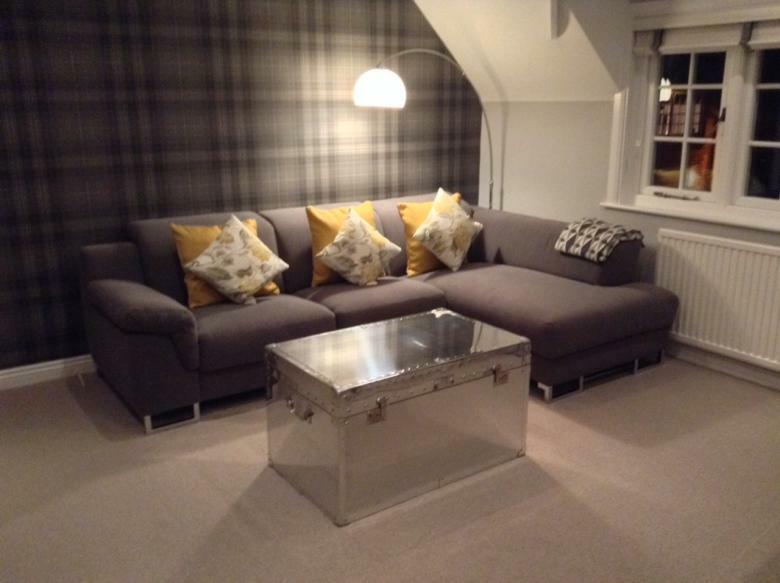 You're welcome to come and have a look round any time, evenings and weekends are no problem. 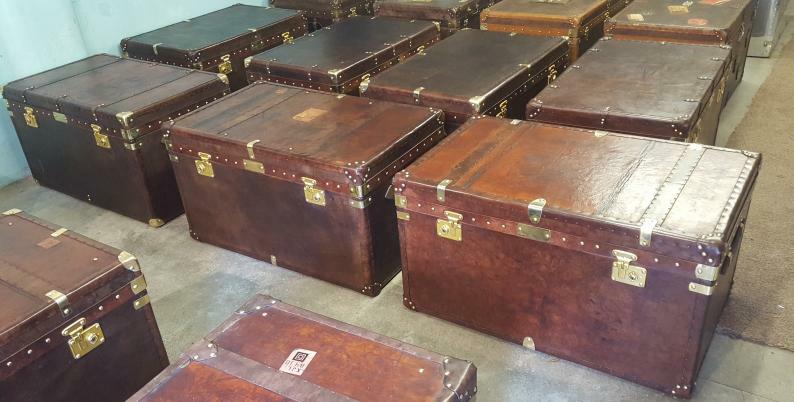 Ring me on 07836 236911 or email rob@totallytrunks.co.uk to arrange a convenient time. 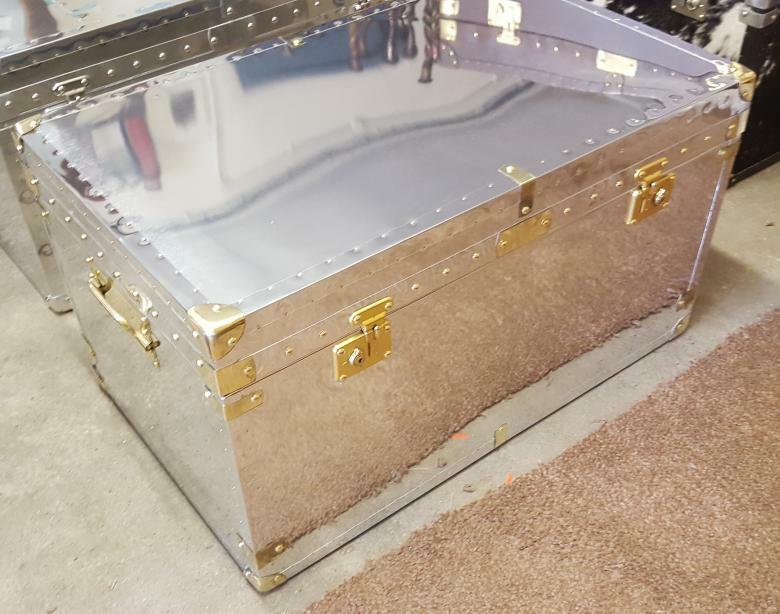 Some trunks are plain leather and some have additional luggage labels, vintage brass name plaques and other decorative additions. As you can see below. 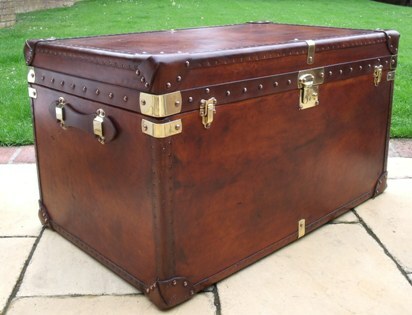 Large trunks 90 x 55 x 50 with vintage leather tops - ideal as coffee tables. 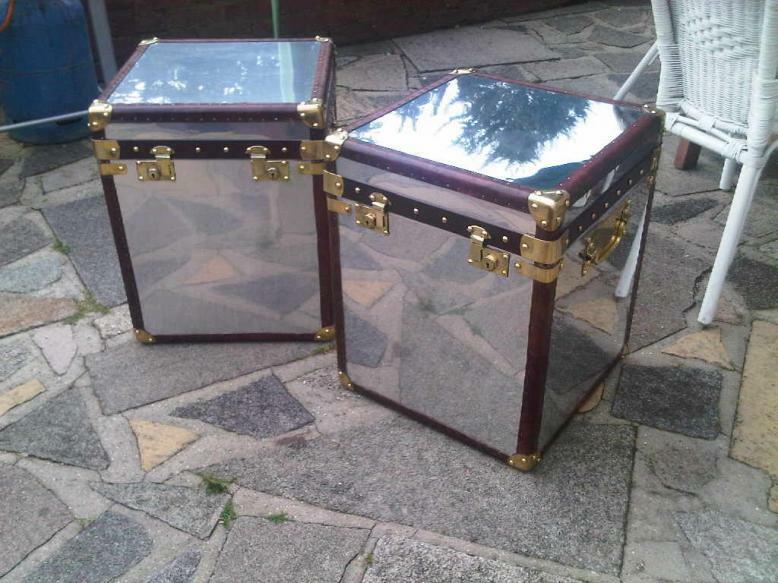 Side trunks 45 x 40 x 55 ideal bedsides or lamp tables. Some with vintage luggage labels and brass name plaques. 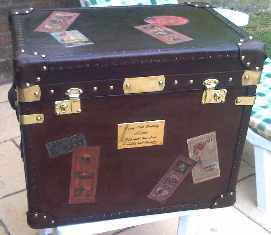 Please ring me any time on 07836 236911 or email rob@totallytrunks.co.uk. 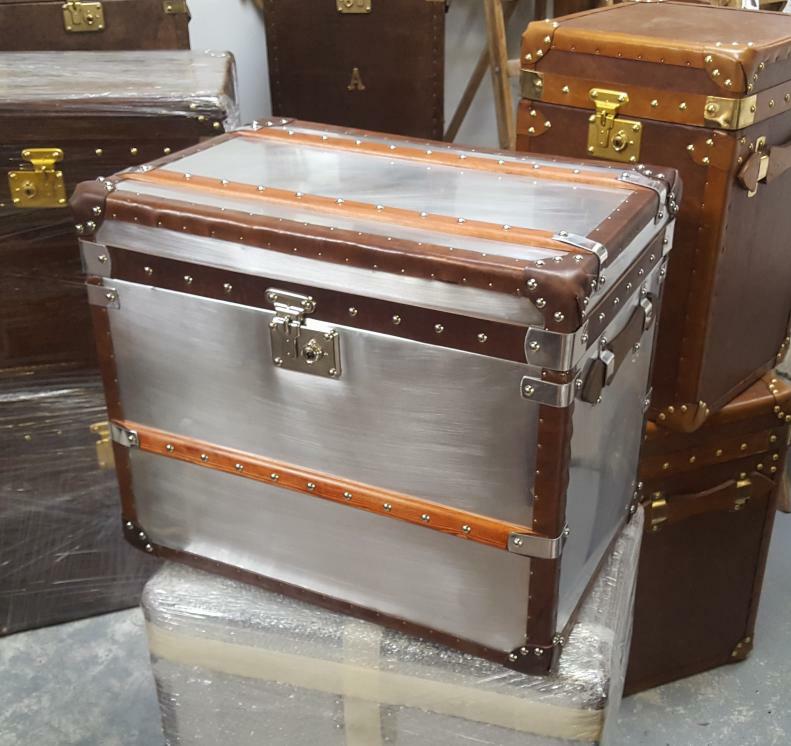 We also make trunks in polished aluminium. 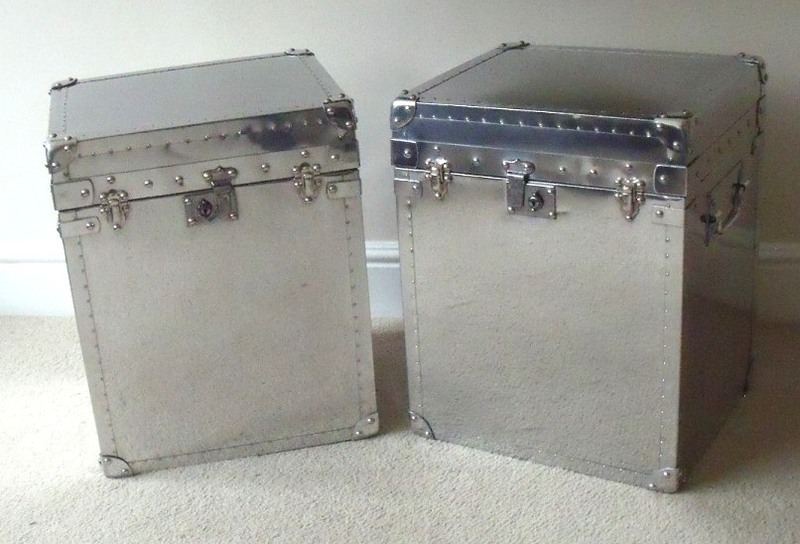 Pairs of plain polished aluminium side trunks ideal bedsides or lamp tables. 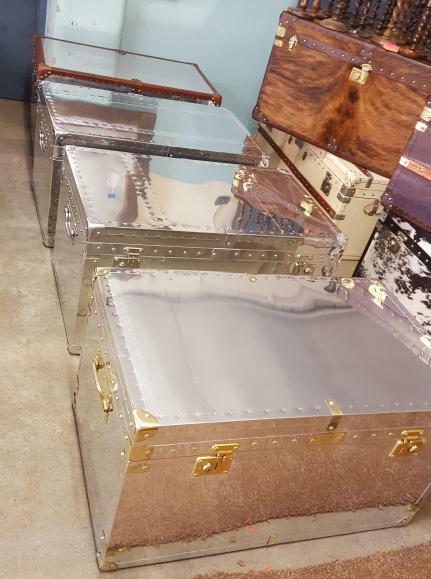 Good range of trunks in stock in all sizes and finishes. 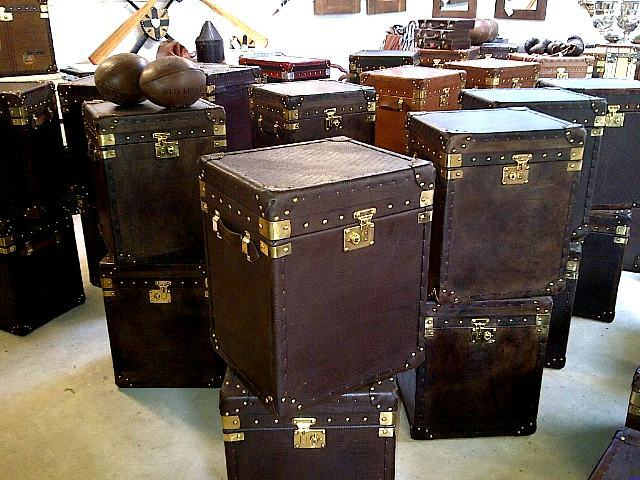 Medium size leather trunks 60 x 40 x 50 and 75 x 45 x 50. Some with additional luggage labels and vintage brass nameplates. Pair of cream trunks 60 x 40 x 50 with brown leather edging, steel corners and wooden slats. 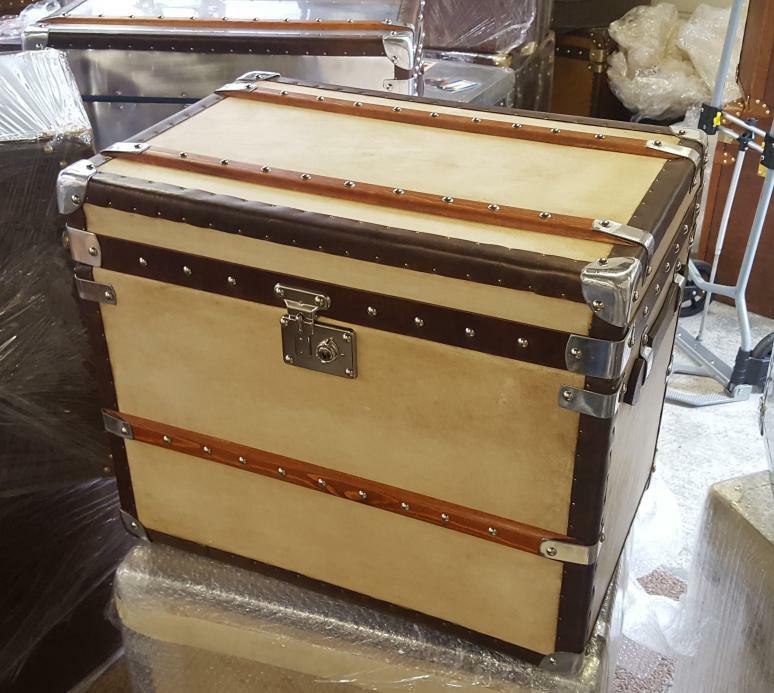 Brown leather coffee table trunks - good selection available. 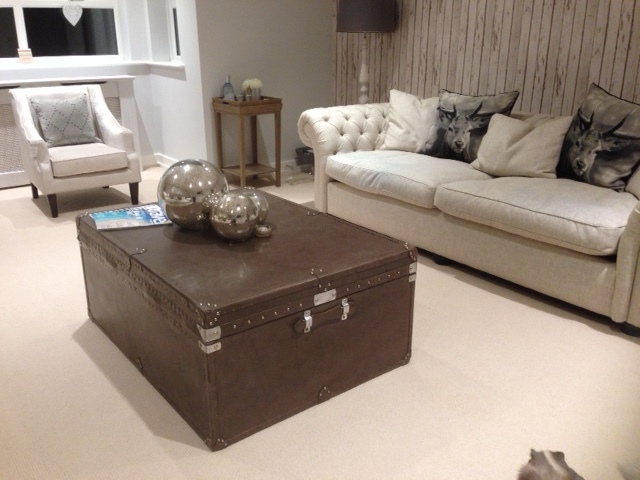 Fabulous and huge trunk in situ - MADE TO YOUR SIZE AND SPEC. Please have a look at the range of trunks available by clicking on the menu top left. If you want to come by train I'm happy to collect you from Epping Station which is on the Central Line. All our trunks are handmade by craftsmen in our own workshops. Worldwide shipping easily arranged - please email for a quote.